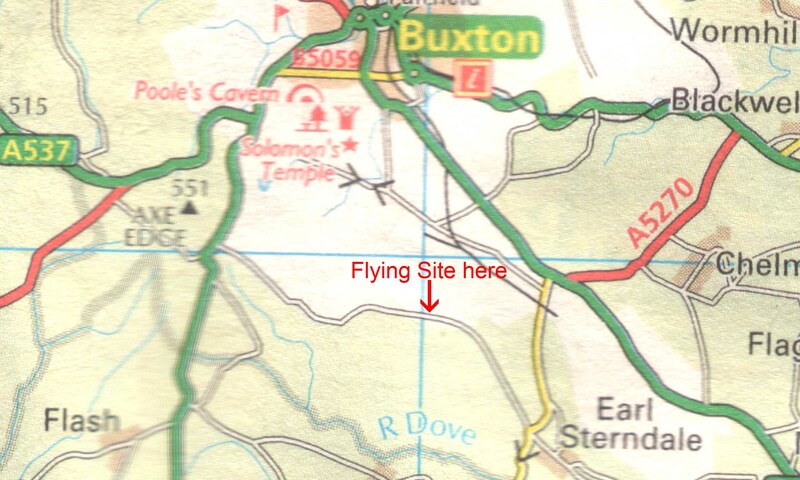 Taking the Leek road out of Buxton (A53), look for a road to the left sign-posted to Dalehead and Buxton Raceway. Follow this road for about 2 miles, passing Buxton Raceway on the left, and you will see our flying site through a gate on the left. Leaving Buxton to the south on the Ashbourne Road (A515), look for the B5053 (next to the book shop), sign-posted to Longnor. Follow this road for about 1 1/4 miles, turning right at the cross road near Earl Sterndale. Follow this road for 1 1/2 miles and you will see our flying site through a gate on the right.